He comes to her daily, slipping into her mind between breaths. She draws him in as she draws in air, pedaling along the Quai de Valmy, as she draws in her new surroundings; the glow of a Paris summer, the jigsaw of shadows thrown across her forearms when she sweeps beneath a canopy of poplars. She can never say what it is that triggers a recollection, they come into being in such stealthy ways. Perhaps there was something of Grigory in the man with the cigarette at the lock just passed, a familiarity in the way this stranger brought a flaring match to his face. But then the breadth of their marriage contains a corresponding moment for any of the thousands of minute actions that surround her. Mckeon’s descriptions of the fallout are memorable, not just for the pain he depicts so movingly, but for the fact that he does so without a hint of melodrama. What’s even more unsettling is the knowledge that there’s a cloud of suspicion and half-truths; that information is not being shared fully; that the enormous human costs of such a tragedy are largely being swept under the rug. (Reviewed by Poornima Apte). McKeon's fiction serves up, without cliché, what so many futuristic dystopian novels aspire to: a reminder that human beings can bring about their own demise. Set amidst the Chernobyl disaster, McKeon's…graceful writing gives depth to his characters as they navigate indelibly changed landscapes and search for connection within chaos. Starred Review. 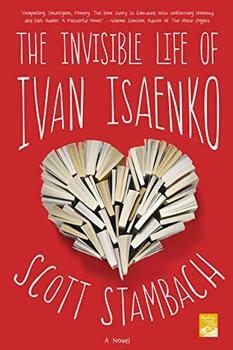 This startling debut novel is a love story set against the harrowing tale of the Chernobyl nuclear disaster.… A promising debut; highly recommended. Starred Review. This debut novel is set in 1986, the year of the catastrophe at Chernobyl, and that disaster serves as the dramatic backdrop for the unfolding of action and character… Serious and thoughtful fiction. This daring and ambitious novel blends historical epic and love story… Darragh McKeon handles the struggles of his characters with care and compassion and creates a book rich with resonance far beyond its historical moment. Brilliantly imagined in its harrowing account of the Chernobyl disaster and exhilarating in its sweep, All That Is Solid Melts into Air is a debut to rattle all the windows and open up the ventricles of the heart…McKeon is here to stay. 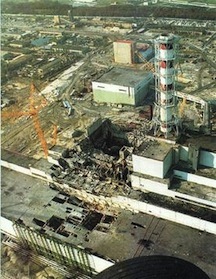 In All That Is Solid Melts Into Air, the Chernobyl disaster acts as the primary backdrop against which the story unfolds. Darragh McKeon describes the accident and the horrific aftermath in moving detail.